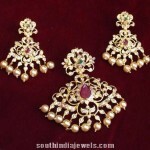 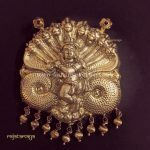 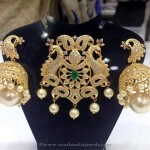 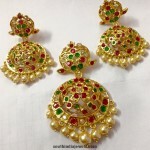 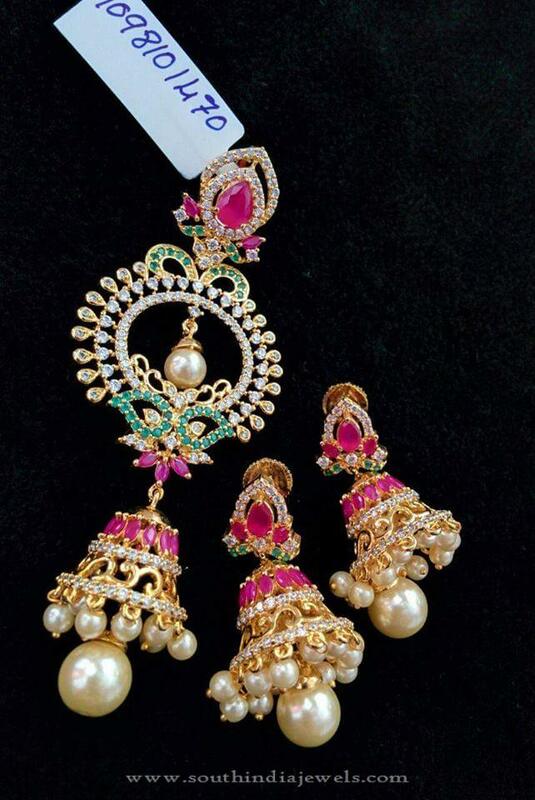 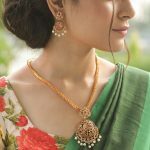 Beautiful jhumka model pendant with matching jhumka earrings. 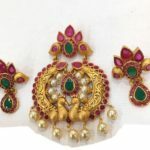 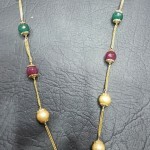 The pendant is studded with sparking white stones, rubies, emeralds and embellished with pearls. 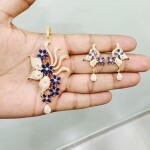 For inquiries please contact the seller below.